Only $437.99 when purchasing 2 or more! This 71" L shaped office desk with drawers provides the durability of high quality laminate and PVC edge-banding and the function of ball bearing drawer slides. This Offices To Go desk is equally at home in your private office and as a reception desk in the front room of your corner office. This desk is also green certified and eco friendly. Order today and free shipping on all furniture! 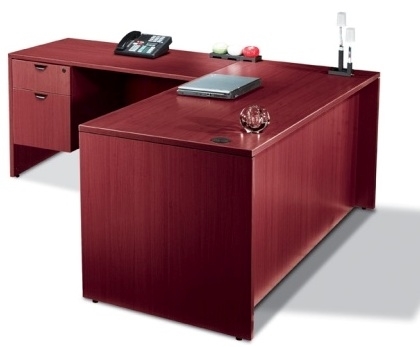 Overall Office Desk Dimensions: 71" x 84"
Fully reversible. Return can be set up on the left or right side. One hanging pedestal with locking box drawer and file drawer. Grommets are standard on desks returns, bridges and credenzas. Top quality ball bearing slides on all drawers. See below for additional pedestal. Drawers are shipped assembled. Minor assembly required. Global two drawer metal vertical letter file featuring sturdy, full cradle drawer suspension for smooth operation. This full warranty file cabinet is available in 3 different colors and ships for free. 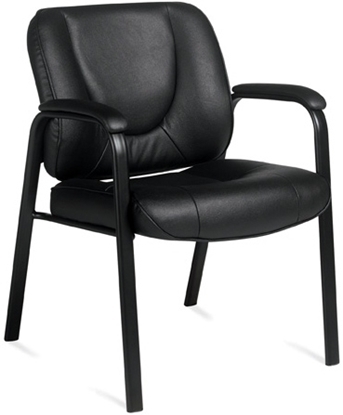 The Boss B7301 high back leather chair offers both an impressive image and terrific comfort. 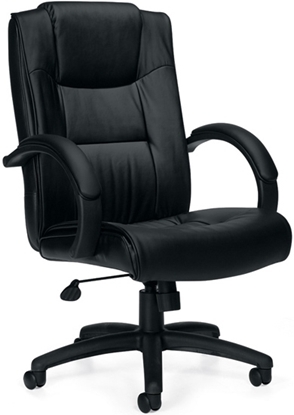 The lumbar support and thick seat cushion gives you the feel you will appreciate, and this beautiful executive chair is fully adjustable. 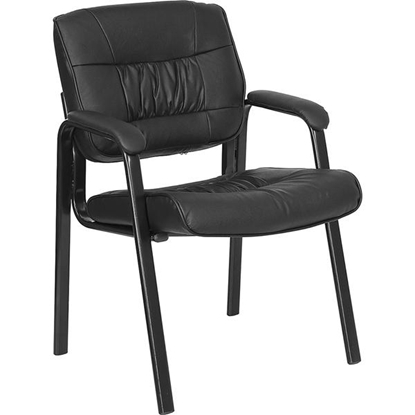 Perfect for a business or home office. 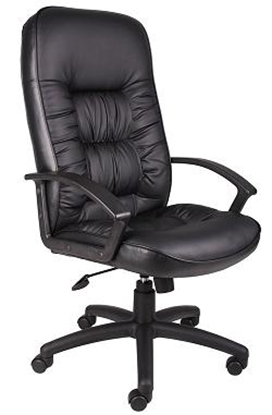 Free shipping and warranty on all discount chairs. This Offices To Go conference table features superior laminate and construction, contemporary style, and a strong and durable 3mm PVC "Super Edge".